← Gmail Out of Space – How to Clean Up? I am always on the lookout for good storage deals. 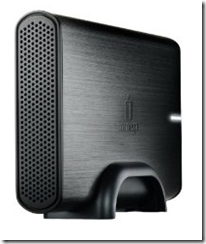 Especially external USB 2.0 hard drive deals. And I found a good one today. 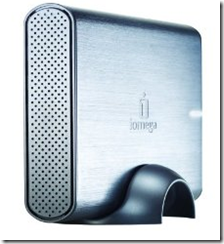 Amazon has the Iomega Prestige 1 TB USB 2.0 Desktop External Hard Drive 34275 for $69.99 with free shipping. I bought this for around $100 a year ago and it is still running great and I have absolutely had no issues. It looks stylish next to my 21.5” Apple iMac with a brushed steel look. This drive has a newer model in brushed dark gray exterior for $79.99.